Have you ever eaten that delicious fried rice made on a hibachi grill at a Japanese restaurant? I had some recently and just had to try to make it at home! I absolutely loved it! It came out really well! I like to use low sodium soy sauce to keep the salt content down, but you can use regular soy sauce if you prefer! Since this is now my favorite fried rice and I love it with all my “body and soul,” so to speak, take a listen to “Body and Soul” played by jazz saxophonist Coleman Hawkins. Thaw frozen peas for about 30 minutes sitting out on the shelf. In rice cooker, put 3 measures of rice. Fill to line number 3. Start rice cooker. While rice is cooking, dice chicken breast. Set aside. Cut off roots of green onions; cut off tops leaving about 2 inches of onion. Peel off outer skin. Discard. Slice. Set aside. Measure 2 tablespoons chopped garlic into a small bowl. Lightly coat a small frying pan with vegetable spray. Over medium heat, sauté onions and garlic. Remove to a small bowl. Again lightly coating the frying pan over medium heat with vegetable spray, crack an egg into the frying pan, stirring to scramble. Chop into tiny, flat pieces. Place on a small plate; set aside. As soon as rice is cooked, heat a large frying pan over medium high heat. Put 3 tablespoons of butter in the center of the pan. Add large scoops of rice setting them around the edges of the pan leaving the butter melting in the center. Quickly stir rice into the butter to coat it completely. Add 1 tablespoon of butter and stir rice into it. Add 1-2 tablespoons of soy sauce by sprinkling it directly from the bottle and guessing the amount or measuring and sprinkling it from the measuring spoon over the rice. 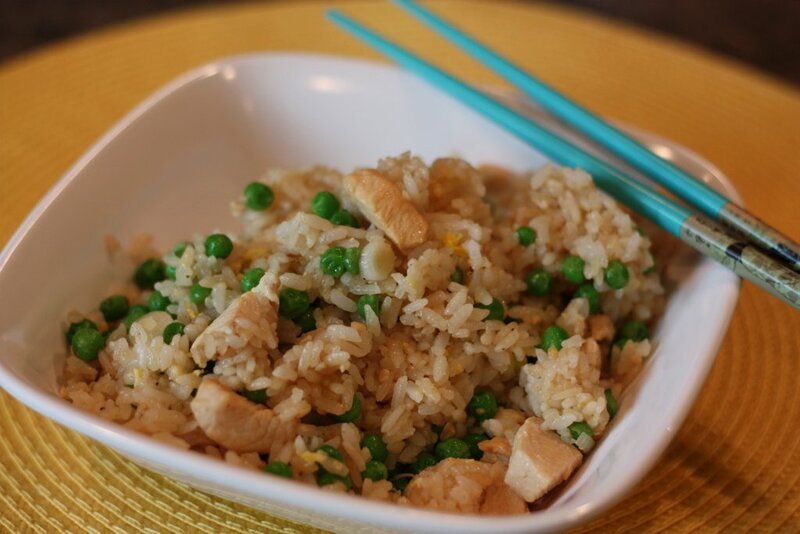 Using a flat turner, quickly incorporate the soy sauce in the rice. Grind fresh black pepper or measure out ¼ teaspoon black pepper over rice. Stir. Put baby peas, green onions, garlic, and egg pieces on the rice. Gently stir to incorporate them into the rice. In a medium frying pan over high heat, put remaining 1 tablespoon of butter. Add chicken. Stir to coat chicken with butter. Sprinkle 1-2 tablespoons soy sauce over chicken. Stir. 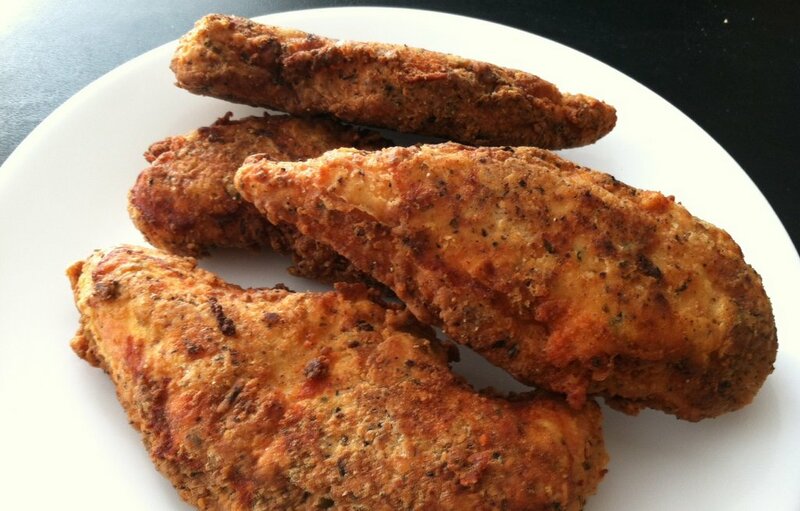 Remove chicken to large frying pan with rice. Toss together gently.